The Turnbull Stakes is often viewed as a stepping stone for the Cox Plate, the Caulfield Cup and the Melbourne Cup. The best of the best gallopers turn out to contest the 2000-metre race every year, so it provides a great guide for punters in those big races later in the Melbourne Spring Racing Carnival. The Turnbull Stakes is one of the newest Group One titles in Australian horse racing, first rising to that status in 2006 after three-time Melbourne Cup winner Makybe Diva stormed to victory the year before. It was demoted back to Group Two in 2007, but it returned to the top tier in 2010 and has remained there ever since. First run in 1865, the race was variously known as the Royal Park Stakes, September Stakes, October Stakes and Melbourne Stakes. It was a handicap until 1964, when it adopted weight for age rules. The current-day set weight conditions were introduced in 1970, and two years later the length of the race was shortened from 2400 metres to 2000. In 1948, the race was renamed in honour of Richard Turnbull – then chairman of the Victorian Racing Club. Turnbull was elected to that office in 1942 and fought through ill health to carry out his work right up until his death in 1950. A popular figure in Melbourne racing circles, Turnbull actually won the Melbourne Cup in 1944 with Sirius. 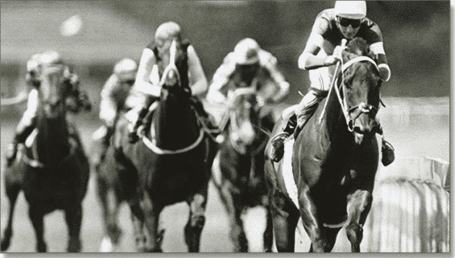 Comic Court in the years 1949 and 1950 and then Vo Rogue in 1987 and 1988 are the only two horses to have claimed back-to-back Turnbull Stakes victories, but many other have won the majors after taking out the race. When the immortal Makybe Diva won in 2005, she also took out the Melbourne Cup – a feat equalled by only Let’s Elope in 1991. The Diva also won the Cox Plate that same year in a remarkable effort, while Let’s Elope took out the Caulfield Cup in its golden year. Others to win the Turnbull and Caulfield Cup double in the same year are Elvstroem (2004) and Sky Heights (1999), while The Phantom Chance (1993) and Better Loosen Up (1990) did the Turnbull/Cox Plate pairing. Superstar Northerly’s 2002 year featured a Turnbull, Cox Plate and Caulfield Cup. Elvstroem’s 2004 victory was the fastest ever, coming in at two minutes and 0.46 seconds. Four-year-olds have enjoyed great success, with 12 wins since 1983, while six-year-olds have won the race 10 times. No eight-year-old has won in that period. Geldings have won it 22 times since 1983, while the favourite has saluted on 12 occasions. Follow the favourite! The punters seem to be able to get it right, especially over the past three decades, with 12 favourites being first past the post in the Turnbull Stakes. Form lines through the Dato Tan Chin Nam Stakes and the Underwood Stakes seem to give the greatest indicators for success in the Turnbull, with more than two-thirds of winners since 1983 coming through either of those two races. Having said that, only four horses have done the Turnbull and either the Underwood (two) or Dato Tan Chin Nam (two) double. Below are some of the popular bet types available for the Turnbull Stakes. Win bets: So who is going to win the Turnbull Stakes? This is the easiest of all the bets. Find your favourite online bookmaker, pick out the horse you want to win, decide how much you want to wager and slap it down on the nose. Point and click. It’s that easy. Then sit back, try to relax and hope your horse does the right thing by you. It has to be first past the post for you to win your bet. Place bets: This bet type reduces the risk, but also reduces your odds. Again, you pick out your selection, but this time instead of having to be first past the post in the race for you to win your bet, your horse only has to finish in the top three. It gives you a greater chance to get your pick home and becomes more enticing to back an outsider. Like the name of a horse, but it’s paying $51 to win? Slap a little on the place and hope it can sneak into the minors. Even if your horse comes first, you still win, but you’ll get the reduced place dividend. Each way bets: A little from column A, a little from column B. Call it an insurance policy. You get the best of both worlds, provided your horse wins. If it comes second or third, you still get a little back from your place bet. If it runs first, you will get winnings from both your win and your place bet, while if it comes in second or third, you only get the minor return, with the money you wagered on the win going in the bookie’s bag. Quinella: Pick the horses that will come first and second, in any order. As long as your two (or more, if you want to splash out) come home in first and second, you win. Choose your horse, box them up and hope for the best. Exacta: Similar to a quinella, with exacta bets, punters must choose the first and second placed runners in finishing order. It makes it a lot harder. You can box these picks up and have as many selections as you like, but the more combinations you choose, the more your bet will cost. Duet: Your picks here can come in the top three, in any order. You’ll need two of them (or more) and the duet will pay out twice if you get all three of the top three finishers. So it can be a fun bet, but obviously the more selections you have the more it will cost you to bet. Trifecta: First, second and third. Pretty self explanatory. You need to pick all the place finishers, it can be in order, or in any order if you box it up. Punters love using this bet and a mystery trifecta, where the computer makes the selections for you if you can’t be bothered doing the research, is always popular. First Four: Sounds easy, right? Pick the horses that come first, second third and fourth. Wrong. This is one of the hardest bets in racing and, considering the Turnbull attracts some of the best gallopers around, it can be like picking a needle in a hay stack. It’s a costly bet, with a half share with four selections costing you $12, but it can offer huge rewards in the hundreds of thousands. Futures: Got a little cash in the kitty and have a favourite horse you want to have a flutter on to win the Turnbull? You won’t always be able to get one on, with markets often released much closer to the race. Unlike the Melbourne Cup, which you can get a bet on virtually all year round.